Somos tu We are your Inbound Marketing Agency. With an Inbound Marketing plan, you will attract potential customers with a personalized strategy that integrates content, social media, SEO, lead generation, email marketing ... offering them added value instead of being intrusive. Quadruple the number of visits in 1 year and multiply them by 13 after 2 years. Five-fold increase in 1 year the number of leads generated and multiply by 14 after 2 years. First, we study your business in order to define the objectives to be reached, determine what your buyer persona is, and to study what buyer journey they are doing, to know what kind of content they may be interested in at each stage. We make sure your potential customers come to your website, how? through the creation of quality content, optimized for SEO, that shows the value that you can contribute with your products / service. At MarketiNet, we develop the most appropriate content strategy for your company. We create valuable, useful and interesting content for you target and this translates into results for you company. We make sure to promote that content through calls to action to get records. That is, we make a barter with the visitors, they receive the content and we their data through a form..
We perform a progressive qualification of leads and lead them to the purchase through Automated Workflows for the sending of emails, lead nurturing and lead scoring. Thanks to the marketing automation, we ensure the delivery of the right message to the right buyer at the right time. Once the sale is closed, the process does not end. It´s important to capture their attention with personalized content to promote second sales, loyalty and turn them into prescribers. At MarketiNet we use HubSpot software, Automated Inbound Marketing platform # 1, to build and execute the plan as well as other tools we support, such as Eloqua, custom solutions, WordPress integrated, etc. The tool integrates everything and allows a unitary, strategic and easily measurable management of all the processes involved. 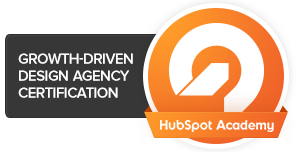 As a certified agency and partner of HubSpot we offer you an advice and consultancy and we support you in the implementation of the tool. We are a certified Agency in Growth-Driven Design by HubSpot that guarantees us in the methodology of development of efficient webs thanks to the capacity for improvement and continuous growth. We continually implement improvements to your website thanks to a cyclical process of planning, testing, application and dissemination. DO YOU WANT TO START TO GET leads WITH Inbound MARKETING STRATEGY?